There has been a lot said recently concerning the most recent partial shutdown of the US government. Just before Christmas, on December 22nd, 2018 President Trump ordered the shutdown in order to secure the funding needed to complete a barrier wall that spans the southern border of the USA from Mexico. The continental border between the two nations is extensive, spanning 1,954 miles (3,145 km). On our side, the area affects four US states: Texas, New Mexico, Arizona, and California. There are many sections of existing barrier wall, and even natural barriers such as rivers and mountains. There are ‘virtual’ barriers policed by National Guard, SWAT teams, and video surveillance. Sections of the border have been fenced off one piece at a time over the years, and the US Border Patrol has been doing its part to stem the flow of illegal aliens. Some sections of the existing walls are steel, some are concrete, and some are just barbed wire. The main point is that because of the piecemeal security measures our southern border is currently vulnerable at some points to incursions by illegal aliens. A country without borders is NOT a country. President Trump understands this point and is committed to securing our border with Mexico, despite resistance from Democrats and constant criticism by liberal media outlets. The United States is a country that was founded by immigrants, and is a melting pot of cultures and ideas. Each year, we welcome new immigrants who enter our country legally, many of whom go on to become naturalized citizens. A foreign born person can become a legal US citizen, and there is nothing wrong with that. It is a process, and it does take time. Unfortunately, there are also foreigners who ILLEGALLY enter our country each year, breaking the law and sneaking across the border. The vast majority of illegal aliens are of Mexican origin. There are quotas for immigration. America is a great country which provides levels of freedom and prosperity not found in other countries. We are the longest lasting constitutional republic in the history of the world, but we can’t fit everyone. By most accounts, there are over six billion people on this planet, and just 195 countries. One third of these people live in China and India, which have about a billion people each. The population of the USA is about 350,000,000. There are very few people who hate their homeland. If you ask Swedish citizen what the best country is, most likely they’ll say Sweden. A person from Wales will reply, Wales. A German will say Germany, and so on. It’s human nature to love your home, and I love my country very much. I firmly believe that president Trump feels the same way and is doing everything he can to ‘Make America Great Again’. There are various pieces of the wall that have been built, that are being built, and that still need to be built. The government gets it’s income from taxes, I pay my fair share of taxes, and I want my tax money to be spent on the defense and security of my homeland. As far as I’m concerned, if you don’t support the president, you don’t support this nation, and you are not a true American. You should immigrate to one of the other 194 countries, pick one I don’t care which as long as you aren’t living in mine. The phrase ‘Good fences make good neighbors’ is a line from the 1915 poem Mending Wall by Robert Frost. The poem concerns two neighbors who meet regularly to repair a stone wall that divides their two properties. The neighbor argues for the wall, stating that ‘Good fences make good neighbors’. Frost counter-argues that there is ‘something that doesn’t love a wall’, and that he wants to know what’s being walled-out and walled-in. That kind of sums up the mindset in the USA currently. One side (which includes most conservatives and Republicans) wants the wall. Democrats and other liberals, do not, and are strongly against it for various ’emotional’ reasons. Democrats claim there is a small number of people who will be negatively affected, and somehow feel walls are ‘immoral’. Conservatives want protection for our legal residents, barring vicious criminal elements from entering our country. It’s becoming a battle of wills, and I for one am glad our President has the back-bone to stand up to these breeding heart liberals who have been systematically compromising tradition American values. In exchange for funding the wall, Donald Trump has offered various compromises on other issues that Democrats support concerning DOCA and illegals currently living in the US, but Democrats refuse to negotiate, and try to blame him instead for the government shutdown. This is now the longest shutdown in our nation’s history. There is a basic goal of the US government stated in our constitution to provide for the general welfare of American citizens. We are entitled to health, peace, morality, and safety as cited in the preamble to the constitution, and as president, Donald J. Trump has sworn an oath to uphold the constitution and to defend our nation from all enemies, both foreign and domestic. Nancy Pelosi must have missed that part when she read the same Oath of Office. Walls exist not out of malice, but for compassion. They keep unwanted elements out, while protecting what lies within. The locks, doors, and walls of your home are there not because you hate the people outside, but because you love the people inside. If you believe that barriers are somehow immoral, than you’re very naive and you’ve missed the point entirely. Piece of mind is a wonderful thing to have and knowing that one is safe a and secure is an essential component towards that feeling of tranquility. As always, I wish you success and happiness! 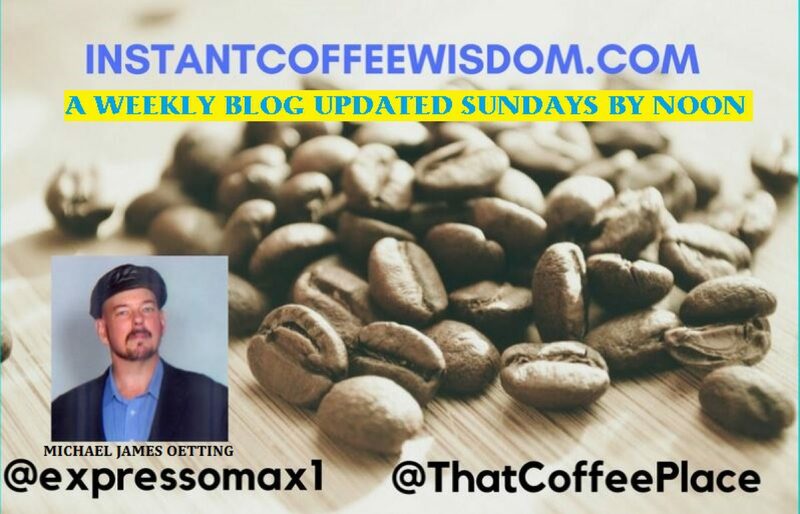 Author instantcoffeewisdomPosted on January 20, 2019 January 20, 2019 Tags business, economics, MAGA, Mexico, politics, security, success, Taxes, TRUMP, USA, workLeave a comment on One Piece At A Time!